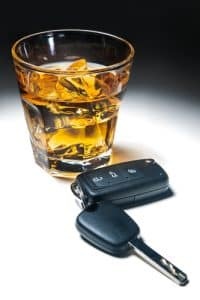 Excluding blood alcohol test results is a vital part of fighting a DWI (driving while impaired by alcohol for purposes of this article, but also relevant to driving while impaired by drugs) trial involving post-arrest testing for breath or blood alcohol content (also known as BAC). As a Fairfax DUI lawyer, here are some of the key steps I took in my latest success in excluding my client’s BAC results from trial. Here as with all my Virginia DUI cases involving BAC testing, I obtained the historical alcohol testing data (here is an example) involving my client and involving the Intox EC/IR II machine on which he was tested, both by sending a document request to the Virginia Department of Forensic Science (DFS) and obtaining DFS data online about the same. In this case, I obtained the reports of both the arresting police officer and the breath technician. Also, I made sure to have the applicable breath test operator instructional manual. KATZ You started the 20-minute observation time at 1:33 a.m.? KATZ The 20-minute rule is needed to avoid testing for mouth alcohol. KATZ The testing subject must blow into the Intox EC/IR II at least twice to obtain a valid sample. KATZ The SUBJ line on the DFS Breath Alcohol Analysis Log (BAAL) indicates the BAC result for that blow. KATZ This DFS BAAL I am handing you applies to the BAC testing you performed on my client. KATZ The SUBJ line on the DFS BAAL also shows the time that my client first blew into the machine. KATZ Based on your review of the first SUBJ line on the BAAL, do you agree with me that my client first blew into the Intox EC/IR II machine less than twenty minutes after your observation period started? Note that had the judge permitted me during cross examination (he did not so allow me), I would have introduced through the breath technician or through offering the Breath Alcohol Testing Log into evidence, that the first blow was a full three minutes before the twenty minute observation period could have ended. Moreover, the DFS Certificate of Blood Alcohol Analysis listed the time of my client’s breath alcohol sample only as the time of my client’s second blow into the Intox EC/IR II machine, which underlines why it is essential to obtain the DFS Breath Alcohol Analysis Logs relevant to the case. In any event, the judge was convinced by the twenty minute rule’s breach, to exclude my client’s BAC from evidence at trial. While we did not win the trial with this evidentiary win, we got a much better sentence than the five days in jail my client would have received had the BAC results come into evidence. Fairfax DUI lawyer Jonathan L. Katz since 1991 has successfully defended over three thousand clients charged with DWI, felony and misdemeanor offenses. To discuss your case with Jon Katz, please call his staff at 703-383-1100 to schedule a confidential consultation. Nice…it pays off to be aware of the 20 minute ruling. But, Jon, you don’t mention the numbers..I would be very interested….in any event, i feel bad that I drove impaired to any degree with alcohol, whether it was a light beer or several stronger beers. These days,I park my car and lock it…..”ain’t no joke” as they say in rehab….law or faulty laws, the fact remains true- there is zero tolerance ( numbers aside) for compromising your ability to drive responsibly…whether it be from physical impairment, or alcohol, or medication, or a lightning strike…..still tough, i would be curious to know what the 2 number measurements are…..it doesn’t have to be based on a pure numerical scale… they should have a better way of basing their conclusions on a d.u.i….but you will hash it out in court, according to strict legal structures set forth by often well- meaning but severely flawed decisions…. in any event, i will say that i respect the diligence to the law set forth, and defeating said contradictions therein…..the bulldog abides!